Meet a tough little lady who gave her life to helping the poor, needy children of Los Angeles. She built a church and school starting with a nickel donated by a newsboy, left it all and began again in a tent when the presiding minister turned out to be a crook, and then regained everything. She spent most of her later years fighting with state authorities to stay in operation. Her name is Belle L. White. White was preaching as early as 1897 at the Pacific Gospel Union, working with needy children in the neighborhood east of Alameda Street. But in a few years, when the Gospel Union decided to give up working with youngsters, White split off and formed her own school at 6th Street and Mateo. 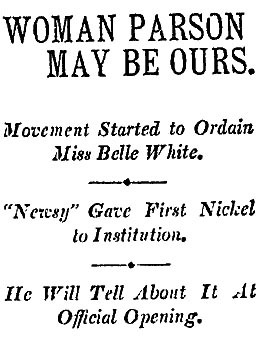 And in January 1907, the church wanted to ordain her. â€œLos Angeles is likely to have the only woman preacher in the country in active charge of a congregation,â€ The Times says. The paper carried an announcement that White was to be ordained, but there is no further information about it. Information on White remains sketchy. The institution at 6th and Mateo continued to operate, and by 1909 was known as the nonsectarian Belle White Childrenâ€™s Home. 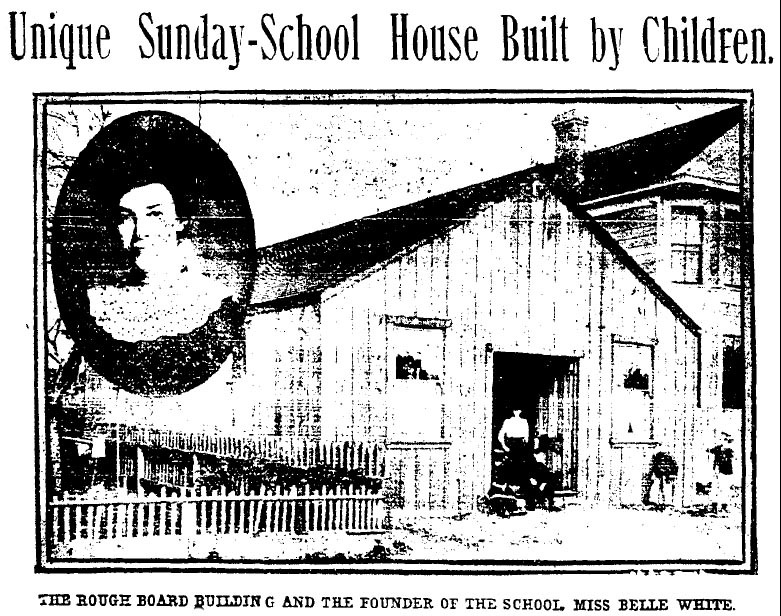 In 1912, the Belle White Home moved from 588 S. Mateo to the home of former Mayor Hazard at 3701 Eastside Blvd., which had been remodeled as an orphanage. 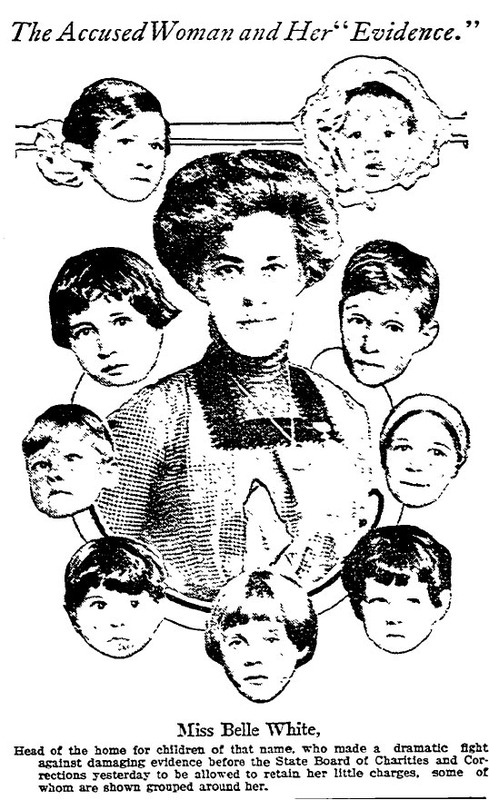 In 1914, she was investigated on charges of running the home for personal profit and accused of neglecting the children. Later that year, the state Board of Charities and Corrections stripped the home of its license. White defied the ruling and vowed to stay in operation. She challenged the state board to arrest her, and when it didnâ€™t, she continued caring for the children. The next year, she incorporated and was again investigated by the state Board of Charities and Corrections, which among other things wanted her to restrict admission to either boys or girls and to have a board of directors including men and women. In 1917, there were further charges against White, saying that she operated a boarding home rather than a charity and White conceded that in some instances relatives paid the childrenâ€™s expenses. It continued to operate as late as 1926, then vanished from the historic record, as did its namesake, Belle L. White.